What is the best Table Shuffleboard Powder Wax? Table Shuffleboard Powder Wax is usually made from a mixture of cornmeal, Silicone and sometimes walnut shells. 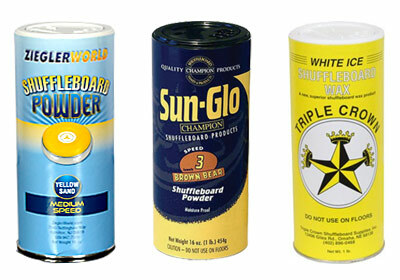 Table shuffleboard powder is sometimes called shuffleboard cheese, salt, dust, sawdust or sand. There are three main types of powder wax – Yellow, Brown and White. Yellow is made from cornmeal with a sprinkle of Silicone. Brown is made from walnut shells with a sprinkle of silicone. White is pure silicone. What To Do With Table Shuffleboard Powder In the Gutter?